research. 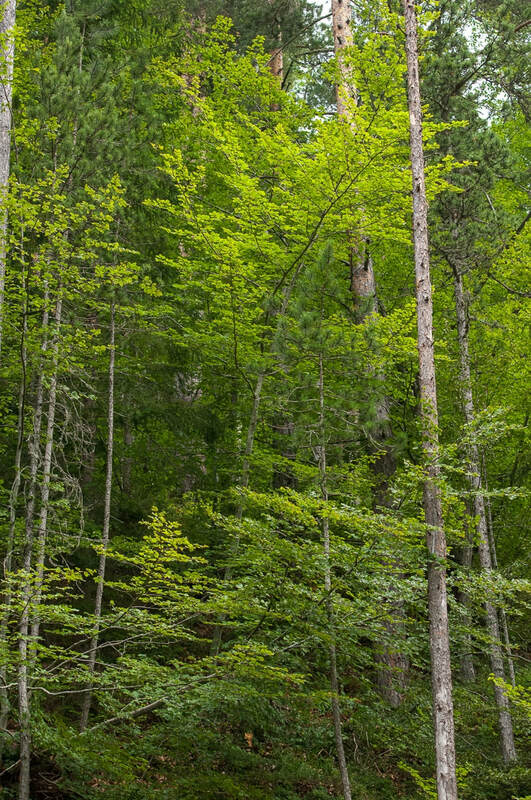 The form of the virgin forest differs from common forests, because in this coexist various species of broadleaf and coniferous of all ages. Dominant species are firs, pines, beeches and are also found maples, birches etc. 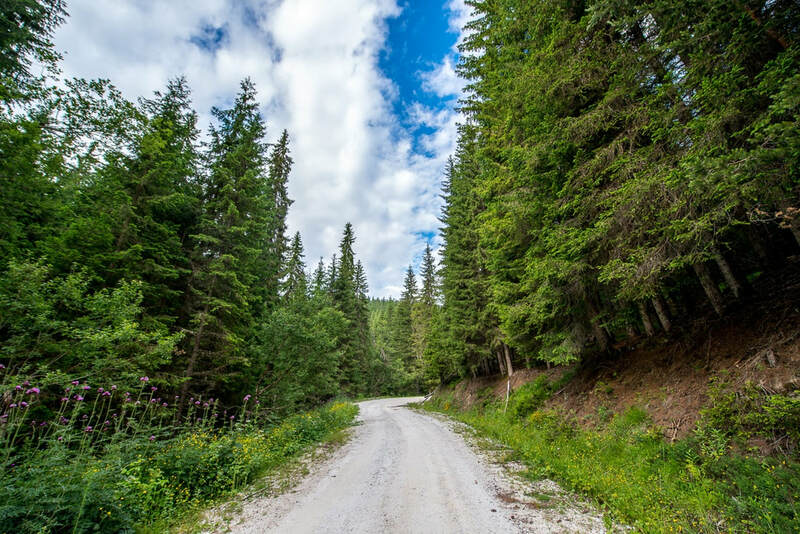 Circumferentially of the virgin forest there is a protection zone where grazing and hunting are prohibited, while wood production and forest recreation are allowed. The fauna of the forest is very rich in species and in numbers. 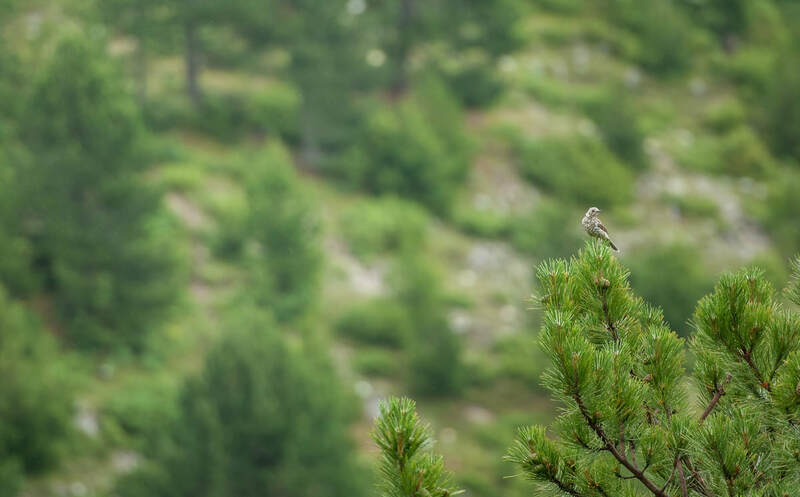 The region is one of the most important Greek mountain ecosystems, with the appearance of almost all wildlife species that live in the Greek mountains. Here, more than 100 bird species are reproduced, among which severeal are protected in Greek and international level. The mammals are also rich in number, with the presence of 32 species, some of which are rare in the Greek area, such as bear and deer. (www.in.gr/agro/). Also, in the area we distinguish locations that are under national protection status and belong to the category Preserved Natural Monuments: The locations of the study area designated as Preserved Natural Monuments are: 1. 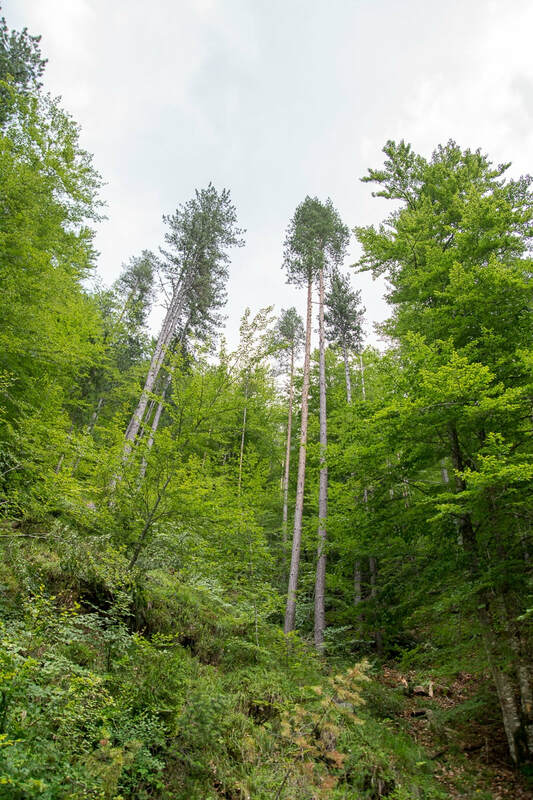 The virgin forest of central Rhodope, covering an area of 550 hectares, and pertains in the Forest Service of Drama (FEK 121/D/80), 2. The sources of Aggitis river, 3. The virgin forest of Frakto 4. Elatia Forest, 5. The lakes of Nestos, 6. 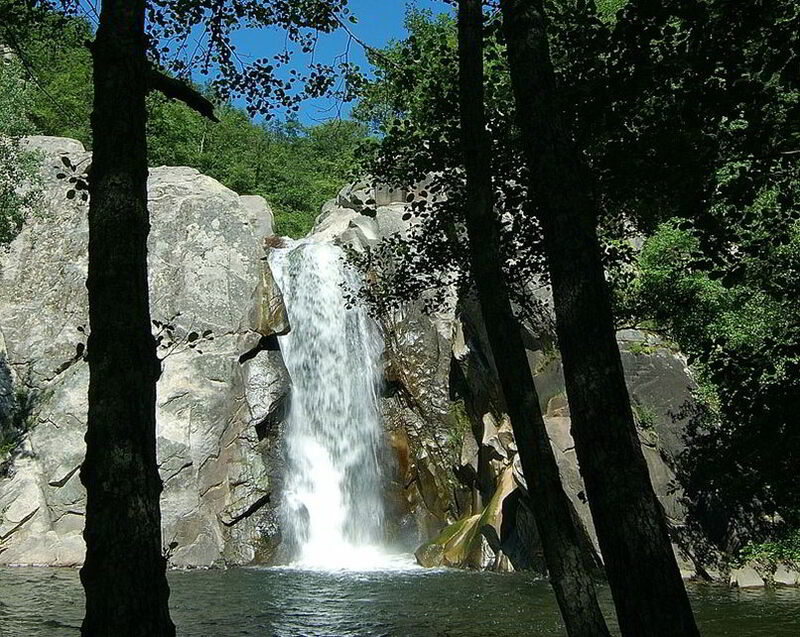 The waterfall in the area Dipotamia 7. The cave Mara, 8. The artificial lake of Lefkogies 9. The ski resort on Mount Falakro. 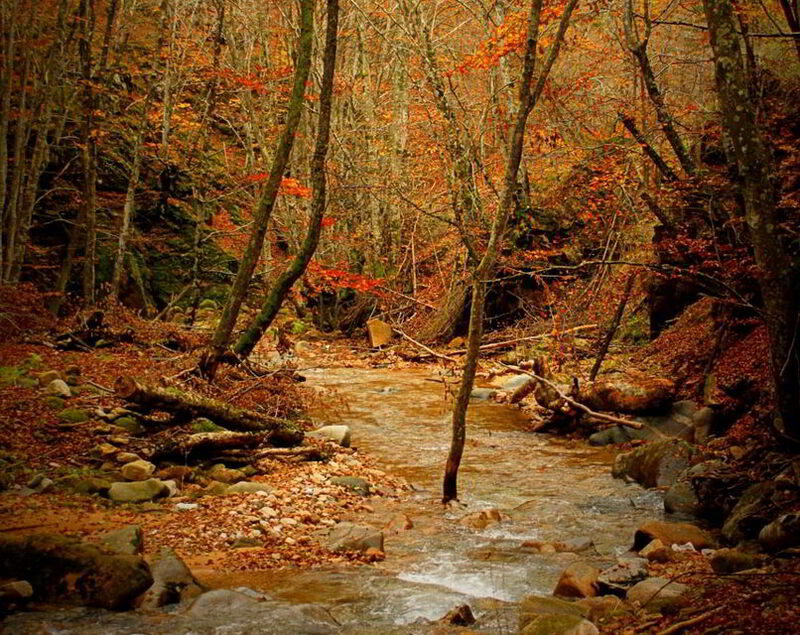 It is located 23 kilometers northwest of the city of Drama and is the only exploited river cave in Greece. The natural entrance is the source of an underground river called Aggitis. The cave was passage or shelter people and animals in different eras. Near the present entrance for visitors, archaeological excavations brought to light important paleolithic and paleontological findings, which are in the Archaeological Museum of Drama. Human presence in the cave is known sinceprehistoric times. So far have been explored about 12 km and have been mapped 10 km route. Since 2000, started the operation of the cave, the visitor can admire the first 500m. of this unique phenomenon. The space is impressive in Cave and visitor, as he moves in a corridor over the river and against to the flow of water, monitors the natural decoration in the Cave which is dominated by white and red stalactites of various forms. 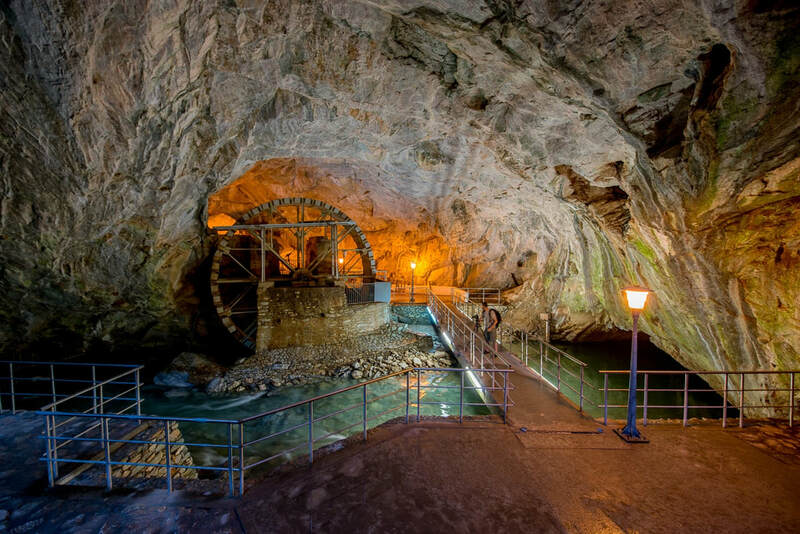 The "Hall of the Wheel," which is currently associated with the main area of the cave with a corridor, owes its name to the presence of a large hydraulic wheel diameter 8m., which covered the water and irrigation needs of the region from the Ottoman era. Within this impressive hall opening in the roof, measuring 8x12m., possible entry of residents of surrounding villages and secret access from the citadel over the Cave into the river.Equally impressive is the arched opening where overflows with momentum the waters in the plain creating a cool oasis with trees, poplars and willows in the environment of cave, perfect for guests to relax. Inside the Cave nest occasionally or permanently live 37 kind of animals, mainly microfauna, of which six species became known for the first time in the international scientific community. We are finding also fish, bats and some larger mammals, such as otters and coypu. The special geological substratum, combined with climatic, soil and topographic conditions, created a significant variety of habitats with special botanical interest. Thus, the Mountain Falakro collects many, rare for Greece, herbaceous plants, forming valuable ecosystems on the peaks, in the meadows and in the rocky outcrops of the mountain. The fauna is also proportional to the botanical interest. Except for the common mammals and birds of the wider region, we meet rareinvertebrates which characterize value of fauna. The Canyon of Petroussa - Pyrgoi begins north of the village of Pirgoi and terminates in Petroussa. 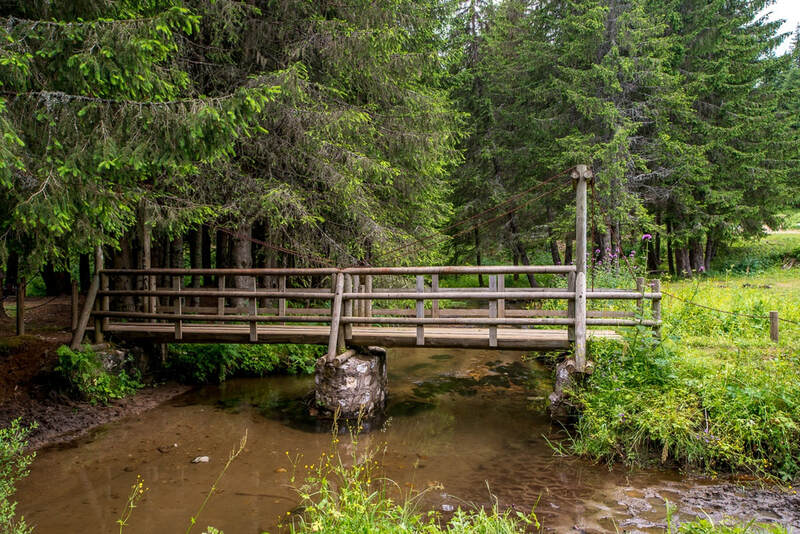 With a length of more than 10 kilometers it is an attraction for nature lovers - hikers, who can cross it beneath vertical rocks, within a landscape of stunning natural beauty. On the slopes of the canyon colorful wildflowers, resistant dry plants and interesting arboreal vegetation are hosted. Furthermore, the canyon is a shelter for many species of fauna. The route through thecanyon is almost flat, becoming uphill only in some points and the ground is covered with stones of streams and winds between steep and very wooded ridges. In many places it becomes extremely narrow with width not exceeding 3-5 meters, where basins with water are formed.